Aidan O’Brien is no stranger to sending his top thoroughbreds to Australia in search of the huge prize money on offer during the Spring Carnival, and his team heading Down Under this year is set to include July Cup hero U S Navy Flag. The master Irish trainer is to aim his three-year-old colt, who is a son of War Front out of a Galileo mare, at The Everest – a weight-for-age horse race in October that had a purse of A$10,000,000 last year. Although the 1,200 metres sprint contest that takes place at Randwick racecourse in the eastern suburbs of Sydney isn’t eligible for Group status yet, once it has more history behind it this is likely to be awarded in the near future when you consider how much money is on offer. U S Navy Flag – the first horse for 35 years to win the juveniles only Middle Park and Dewhurst Stakes in 2017 – returned to his happy hunting ground of Newmarket for the centrepiece of the July Festival. He put in a scintillating front-running performance under Ryan Moore and made all in the centre of the course to win going away from Brando (a horse twice his age) by 1 3/4 lengths. 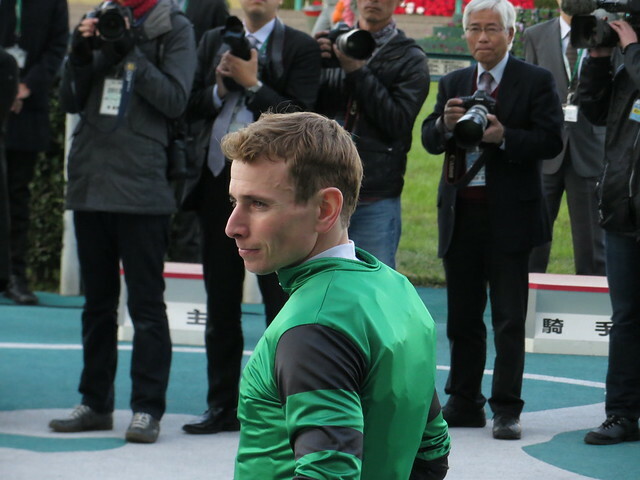 It is yet another remarkable feat of training by Ballydoyle handler O’Brien, who had been highly trying U S Navy Flag over a mile since the end of last season. While many of those efforts didn’t suit his bold running style as other types with more stamina outpaced him in the closing stages of previous races, a drop back in trip at Newmarket was a masterstroke. U S Navy Flag was also runner-up in a Classic when finishing 2 1/4 lengths behind Romanised in the Irish 2000 Guineas at The Curragh and will now be trained for The Everest with this year’s renewal taking place on October 13. If you fancy using a William Hill bonus bet on this Irish raider heading Down Under, then U S Navy Flag has earned an early quote of 8/1 for the race with that bookmaker. There are also other potential targets connections could take in on route before the trip to Australia. While O’Brien has said U S Navy Flag will have a little rest, he holds early closing entries for a number of high-profile sprints in the UK and Ireland. These include the Group 1 Nunthorpe Stakes during York’s Ebor Festival towards the end of August – which U S Navy Flag is a 5/1 chance with William Hill to win. Haydock’s Sprint Cup and the Flying Five Stakes at The Curragh in September are other possible races. Although soundly beaten on his only really lengthy voyage to the Breeders’ Cup in California at Del Mar last November, that race was on dirt and his first crack at a mile. Now he’s heading Down Under to tackle a trip that suits him better on turf, U S Navy Flag is a serious contender for The Everest and the mega prize money that will have lured O’Brien’s principal owners.